A favorite March family outing has been moved to April this year due to the late return of winter. We will be heading up to our friend’s tree farm in the Nicolet National Forest next weekend to help him gather and boil sap from his many maples. Our friend has built a pretty little wood-fire-powered sugar shack, where we will while away the hours talking, laughing, chopping wood, and keeping an eye on the boil. My job is always to invent new ways to cook with the syrup. This dish is one of the simpler tastier surprises invented while sugaring. 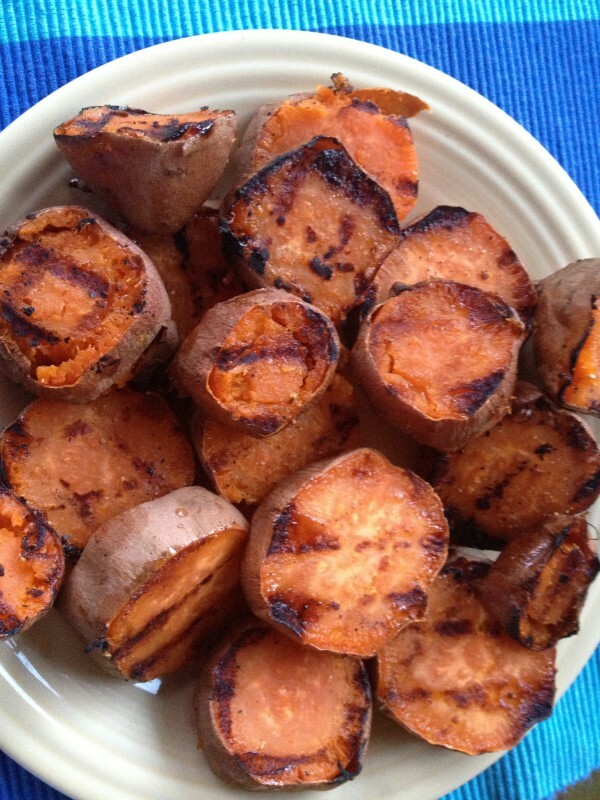 You can oven roast the sweet potatoes for an hour or prick them with the tines of a fork and microwave them. Then just finish them off on a grill.